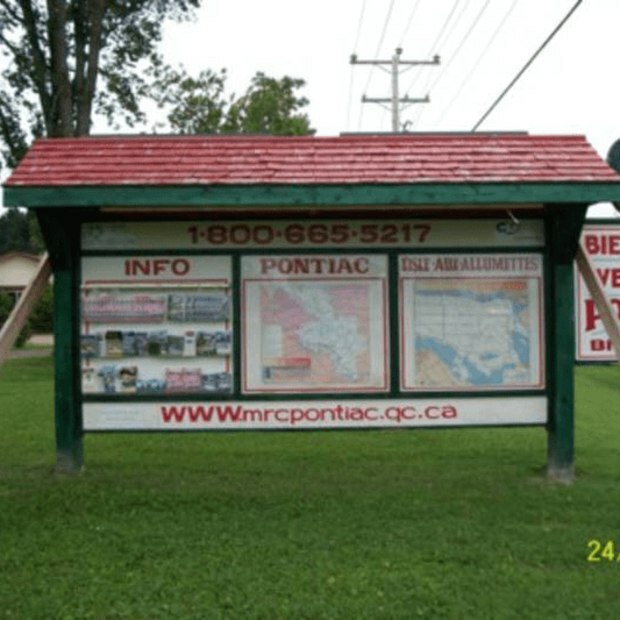 The tourist information station in the municipality of L’Isle-aux-Allumettes welcomes visitors to the RCM of Pontiac, in the Outaouais. On site you’ll find maps of Quebec, the Outaouais region, the RCM of Pontiac, and the municipality (including information on where to find local services, businesses, accommodations, restaurants and main attractions), as well as a display of various tourist pamphlets (regional, local, cultural, etc.). Emergency numbers are also posted at the station. Access to a payphone and a power source. Accessible to persons with limited mobility.